Aliens exist...and, as it turns out, most of them aren’t that friendly. Jacob Brown wasn’t even born yet the first time they attacked Earth. He was only 14 the second time it happened. When Earth finally came together and fielded its first spaceborne military, Jacob didn’t hesitate to volunteer. Serving aboard a mighty starship, he’d be able to defend his planet - and his family - when, inevitably, they came again. 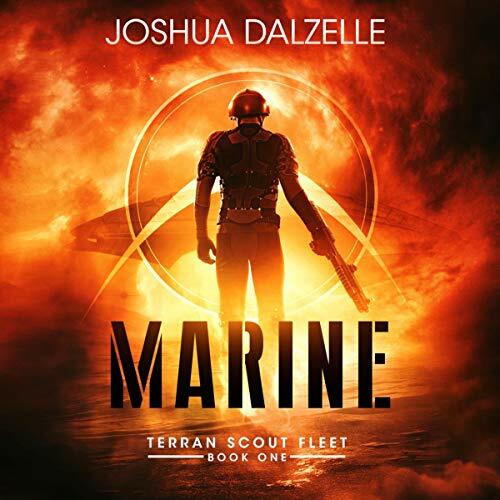 Just as he’s about to graduate training, however, Jacob is approached by an officer from Naval Special Operation Command and given a choice: volunteer for a risky mission to a dangerous, lawless world or give up his dream of serving in the military and go home. He has no idea why he’s being singled out in such an unusual manner, but now, it's either agree to their demands or give up his dream of being on a starship. Soon, getting his career back on the right track will be the least of his concerns when it seems like everyone - and everything - he meets is trying to kill him. When he stumbles upon a secret most people on Earth are blissfully unaware of, he realizes it's not just the aliens he needs to be worried about.